As i said a few weeks ago that when the Mueller report comes out and of its against the Democrats and Media Narrative, the Democrats and media will turn on Mueller and attack him. IT HAS STARTED!!! Now Democrats and their friends in the media have begin to spread the word that Mueller is in league with Trump and is covering up for Trump and wrote a report that will exonerate Trump of collusion. Dem Rep. Naddler wants Mueller to testify about how he conducted the investigation and why his report found no witches. This is the same man who was praising Mueller and all of a sudden doesn't trust Mueller anymore. it is true, the report is a cover up. the president is guilty and no doubt about it. It was obvious he wouldn't find anything but you collusion dillusion libtards went on with the lie. All the signs were there that there was no Collusion. All findings were based on Obama's administration investigation in the witch hunt. Now Mueller confirms what 4 investigation already concluded. All 4 found nothing including Mueller who was Obama's friend and appointee to FBI. @visafree why didn't the democrats vote yes on the green new deal yesterday? They had their chance to vote and be on the record about implementing the deal they claim will help against the fight on climate change and when it came to vote on in the US Senate to make it happen not one single democrat voted yes on the green new deal. Why? visafree i thought you said green new deal is innovative and will work i guess your leaders knew its the opposite. Liberals- We must pass the green new deal because it will work and we must stop climate change. come voting day on green new deal. Liberals voted Present instead of yes. The four page report by Bar is a cover up. why is he not releasing the full Muller's Report? @ Reaper, It's not Muller the democrats don't trust, it's Bar and his own Report is what's been question about by many experts including by majority of the country. @visafree why discuss the GND when Democrats have been advocating for on tv and assured us that its the best? Again why did they not for it when they all endorse it? Since November AOC AND Her far alt-left democrats in the house and Senate have been cheering for it on t.v when time to pass it they all didn't vote yes and 4 democrats sided with republicans and vote no. They knew it won't work so they didn't vote. thats the answer. Visafree, the political stunt came from Democrats who've been telling the world climate change is real and urged the Senate to pass the Green New Deal and telling everyone its urgent that the green new deal be adopted and implemented yet when it came to make it law and implement the Awesome Green New Deal they were no show and didn't vote yes. This was the stunt. They had their chance to put their money where their mouth is and they backed out. This is the stunt: Telling world its important to pass it. Yet democrats failed to vote to make it law. Its all about getting votes with Democrats. As for Mueller report it is what it is. Deal with it. Muellers job was to find any evidences of collusion and reccomend charges but he didn't reccomended any charges after turning his in report. Why? He has nothing. Barrs summary is based of muellers report and many experts believe muellers report. its democrats who opposes it and muellers report because they have no choice but to continue the fake witch hunt. Many experts in the house intelligence committee, the FBI, The senate intelligence committee agree with Mueller and Barrs summary. Even Obama's national intel director admitted it a year ago. visafree the vote brought up Mitch was to make GND law and adpot it into laws and implement it to stop climate change. Answer this again visafree, why didn't democrats vote to implement it? they were all talking about it but when the time to make it happen why did they not vote yes? Why didn't they vote yes? can you answer?
" 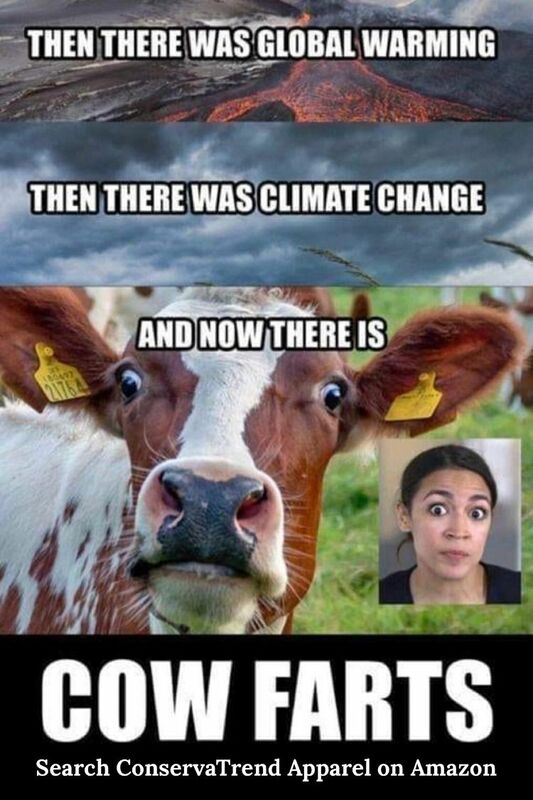 Climate change is like World War two, we are fighting for our life's and that is why we must adopt the Green New Deal immediately "
@visafree, she lied to her climate warriors. She pulled a fast one on them. She said to them we must adopt the green new deal right away. came voting to implement it and she didn't vote yes. Again why did she and democrats in Congress didn't vote yes? I don't get it. They said its a must yet didn't go to work to make the green new deal happen. Why visa why? And Democrats are now looking for someone to replace her 2 years from now and are looking for someone to run against her 2020. @visafree, why didn't democrats vote yes? You gave me a excuse not a answer. The same silly excuse democrats are using. Again why didn't they vote yes? They said it was urgent to pass it and then didn't vote yes to pass it. Why? Democrats said The Green new deal will save lifes and create millions of jobs. Republicans said ok lets put it to a vote. Democrats said its absurd to vote on it when we didn't debate it but claimed its urgent to make it law. Why didn't they vote yes when they claimed it was urgently needed? why? @visafree, It was a vote. A vote to make it law. Why debate it and go through the process when GND will safe the world and stop climate change as democrats claimed. It was needee badly and right away says democrats but when it was time to deliver it and safe the world democrats backed out and didn't vote yes to safe the world like they say the GND would. Again why didn't they vote on in? They say it was need right now but didn't vote yes? Why is that visa? Why? Was it because it was a Democrat political stunt from the beginning? Why didn't they vote?